When his nine-year-old daughter Sally, and her best friend, Leslie Doherty, gave their summer earnings to Children's Hospital because they wanted to "just help our community," it was the result of Jonathan Frost's passing along an invaluable message. "Giving back to the community is something that our family has long valued. My parents taught me to give back. Now my wife Lindsey and I are teaching our daughters that earning and giving go hand-in-hand," says Frost, managing partner at J.D. Frost & Company. That philosophy has become an integral part of his company's culture. During a visit to the CPA firm, employees told story after story of how their families modeled generosity. Assurance partner Brittany Carman and executive assistant Julie Barringer are part of the company's community involvement team. They coordinate company-sponsored quarterly service projects. This fall's project is fulfilling a wish list for Chattanooga's Ronald McDonald House. So when J.D. 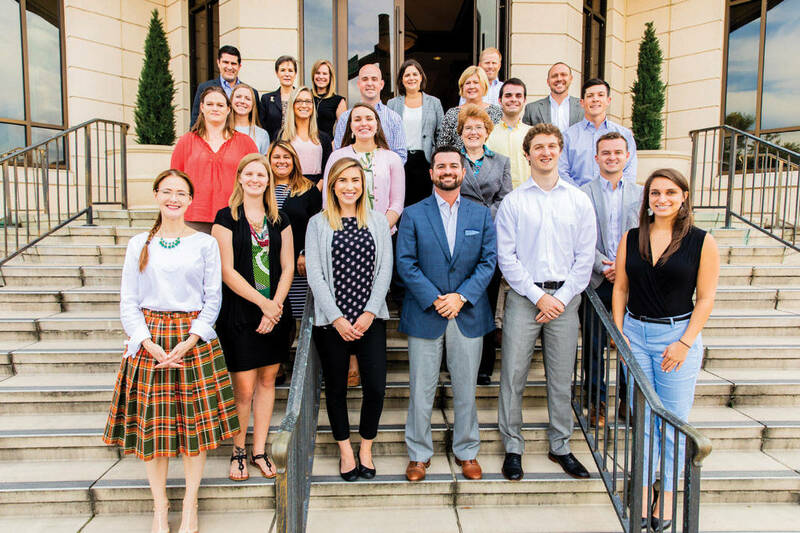 Frost & Company staff learned about #CHAgives, Chattanooga's citywide #GivingTuesday Campaign, they eagerly committed to match $1,000 or more of contributions made by their employees on #GivingTuesday Nov. 27. And that's not all. The company challenges other area employers to do the same. To accept their challenge, visit Chagives.org/challenge and click "take the employer challenge." Companies then promote the challenge internally, ask employees for their gift acknowledgements from Nov. 27, and send matching gifts to those nonprofits. The philanthropic community's answer to Black Friday and Cyber Monday, #GivingTuesday, is a global day dedicated to giving back. On Tuesday, Nov. 27, 2018, charities, families, businesses, community centers and students around the world come together for one common purpose: to celebrate generosity and to give. Last year, #CHAgives raised nearly $500,000 for Chattanooga's nonprofit community in 24 hours and ranked as the 15th most generous city in the country. This year our goal is to top $750,000. Teaming up to make this possible are Causeway, United Way of Chattanooga, the Community Foundation of Chattanooga, The Generosity Trust and the Chattanooga Chamber of Commerce. In addition to the employer challenge, area restaurants will give portions of proceeds to a nonprofit of their choice. Chambliss Center for Children will be the recipient for Chuy's and Jersey Mike's subs for the third year in a row. Each restaurant will donate 10 percent of their Giving Tuesday proceeds to Chambliss. » For more information about Giving Tuesday, visit chagives.org.